Twin Cities Theater Bloggers' favorite theater of 2016, the charmingly named Transatlantic Love Affair, is making their Guthrie Theater debut as part of the Guthrie's new Level Nine Series. This series makes theater more accessible (all tickets for shows in the Dowling Studio are just $9), and also endeavors to engage theater-goers with what they call "community engagement activities," which often include post-show discussions or displays in the golden lobby. Hopefully TLA's participation in this series will allow people who don't know that TCTB knows about them to get on board with this truly unique and special physical theater company. The titular character of James Still's new play Miranda is like Homeland's Carrie Mathison, but more grounded in reality, without all of the soap opera drama. A CIA operative currently based in Yemen after years of working in the Middle East, she's good at her job, but has begun to grow weary with all that her job entails. 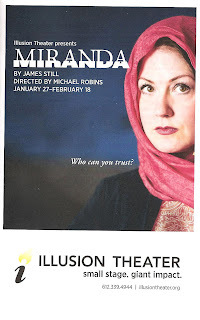 The playwright notes, "While the pursuit of happiness may be one of the inalienable rights guaranteed in our Declaration of Independence, Miranda is too smart not to know that happiness is elusive. She's thrived during her years in the CIA in the pursuit of meaning, not happiness. But what if that meaning and sense of purpose has faded with time and age - what now?" 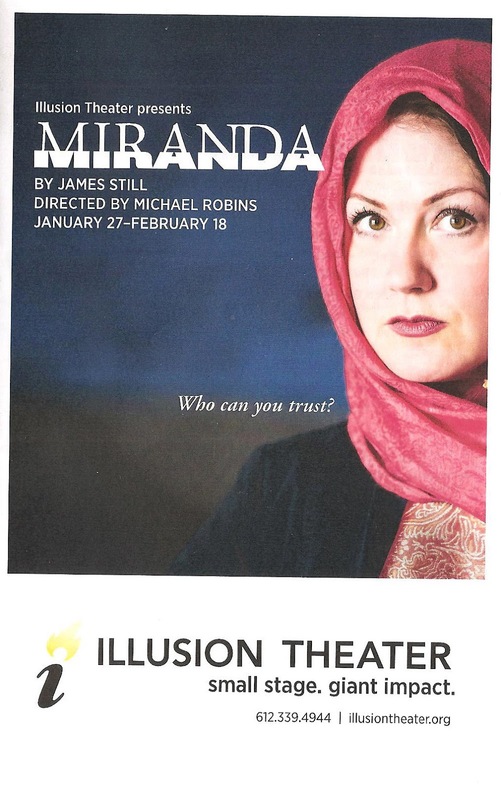 Miranda is a dense and fascinating play about the women and men who immerse themselves in foreign lands to secure intelligence for the US government, but also find themselves getting entangled in the lives of the people they live among. 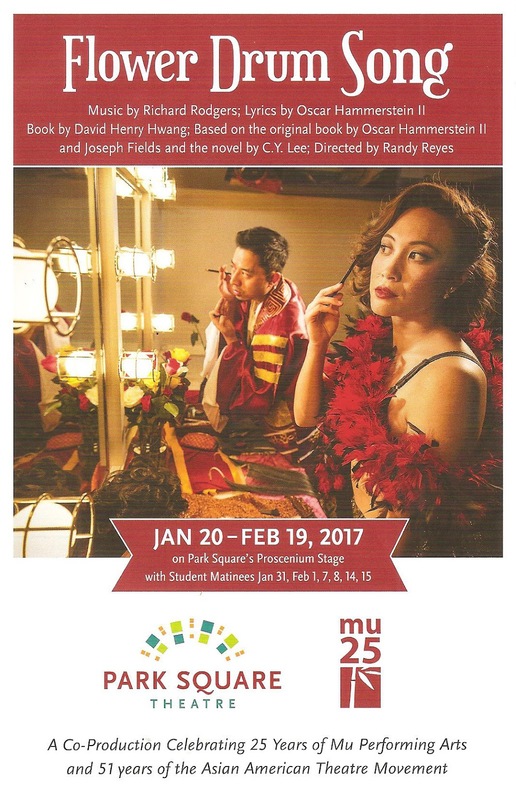 The crown jewel of Mu Performing Arts' 25th Anniversary season is their gorgeous production of Rodgers and Hammerstein's Flower Drum Song, with an updated book by Tony award winning playwright David Henry Hwang (who was in attendance opening night). 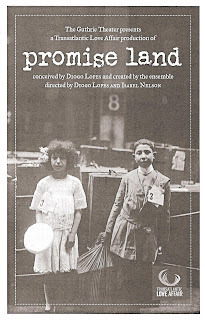 A co-production with Park Square Theatre, it features a fantastic cast of 17 local Asian American actors (many of whom have grown up with and been trained by Mu), a timely story of immigrants in America, beautiful design, and a classic Rodgers and Hammerstein score played by a sparse and lovely five-piece onstage band. It's a production that is made possible because of Mu founder Rick Shiomi's decision to start an Asian American theater company in Minnesota 25 years ago, and the Asian American art and artists that Mu has supported and fostered over the past 25 years. There have been various responses to the new presidency and the current political climate, including Facebook groups, letter writing and calling campaigns, petitions, and a nation-wide women's march. But what do artists do in response to injustice? They make art. Last weekend 7th House Theater opened a short run of what they call a "pop up production" of the 1959 play Rhinoceros, written by Eugene Ionesco as a response to the rise in Fascism in pre-WWII Europe. 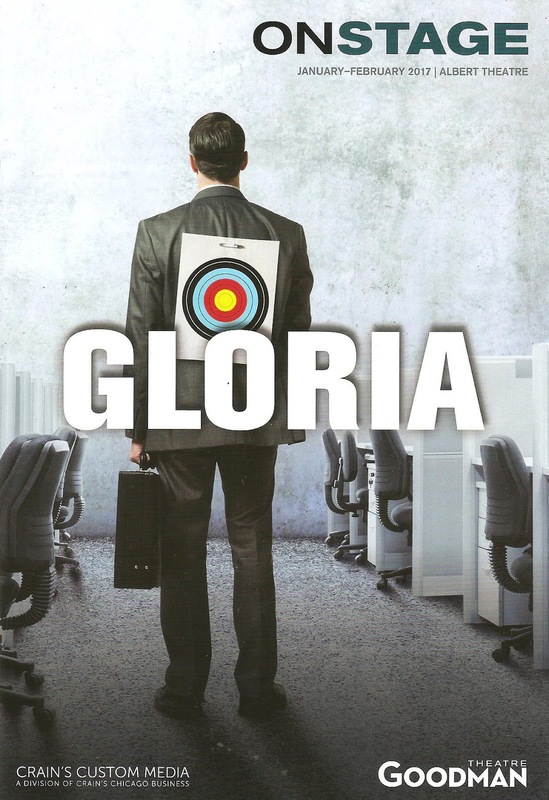 As company member David Darrow explained before the show, their new original musicals (which they've become known for) take about a year to plan, write, create, and produce, which makes it challenging to stay current. And they're not alone, most theaters plan their seasons months or years in advance, which is often necessary to secure talent and space in this busy theater town. 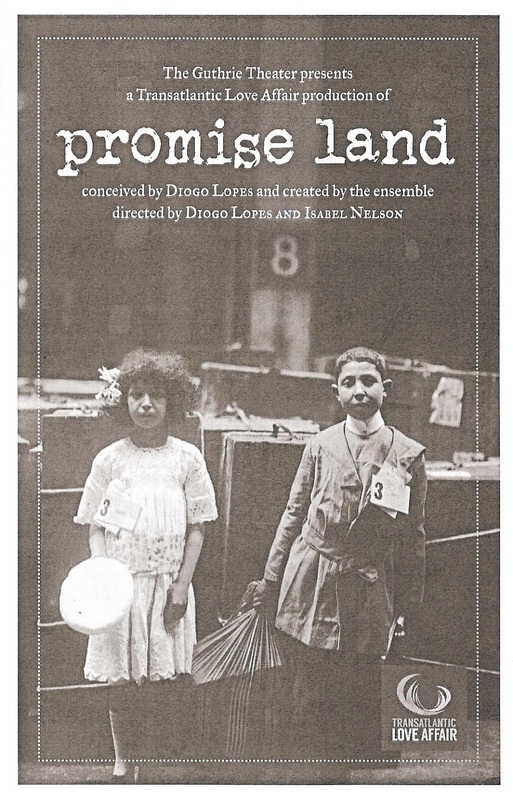 But with this piece, 7th House is presenting "a specific work at a specific time in history." After just ten days of rehearsal, they very intentionally opened on the night of the inauguration, a work presented in what David called "a mostly sort of way." 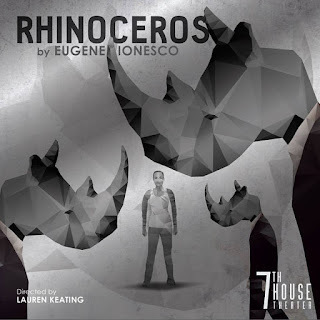 While the staging is minimal and actors have scripts in their hands, Rhinoceros is a work that is wholly entertaining, eerily relevant, and exactly what we need right now. Only three performances remain this weekend - don't miss this hot-off-the-presses, incredibly timely, excellent work from this talented young company. 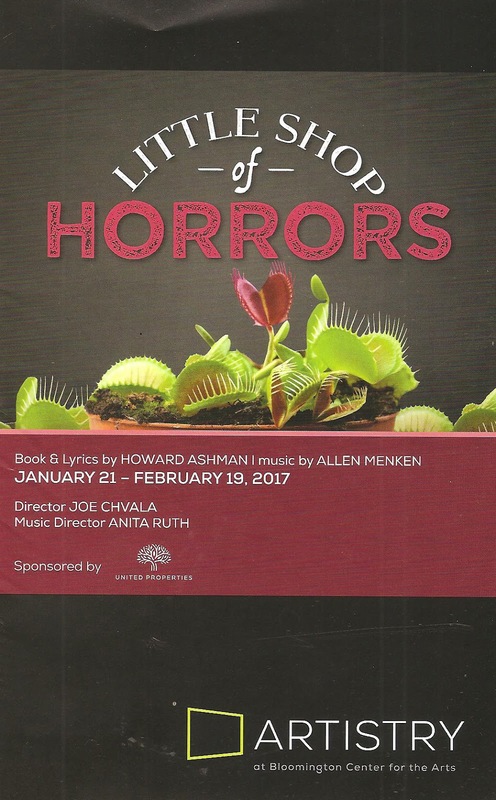 I love Little Shop of Horrors. 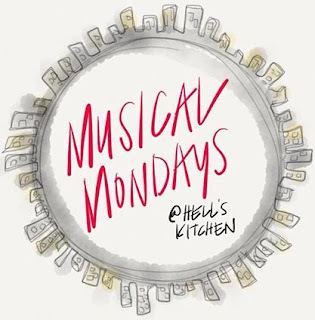 While I wasn't too familiar with the beginnings of it (it started as an Off-Broadway musical in the early '80s and was made into a movie in 1986), I was lucky enough to see the original Broadway run when it finally landed there in the early aughts. The campy and nostalgic story of a 1960s plant shop employee who sells his soul to the devil in the form of a man-eating plant is full of unique charm. It may not be a typical musical with its small cast, small band, and darkly comic subject matter, but it has become a classic, and I'm glad that Artistry (formerly known as Bloomington Civic Theatre) continues to include non-traditional musicals in its programming, even if the BCT Sunday matinee crowd didn't seem that into it. I overheard a comment in the ladies' room that "it's not Camelot," but that's exactly the point. Artistry's production is perfectly cast, features a fun and colorful set, and beautifully captures that campy tone - definitely worth the drive to the southern suburbs. 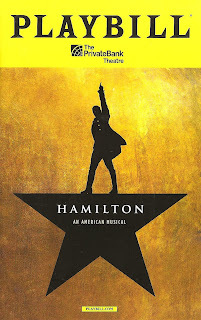 Since we were in Chicago to see Hamilton last week, my friends and I decided to check out the local theater scene too. We were able to get some nice last-minute seats to Gloria at the Goodman Theatre, which, as it turns out, has something in common with Hamilton: it was a finalist for the 2016 Pulitzer Prize in drama, which of course went to Hamilton. The Goodman production is basically a remount of the Off-Broadway production at the Vineyard Theater, with the same director, cast, and much of the design team. Written by up-and-coming young playwright Branden Jacobs-Jenkins, whose work was recently seen in the Twin Cities in Mixed Blood Theatre's production of the crazy brilliant An Octoroon, Gloria is another smartly written and thought-provoking observation of and comment on the world we live in. I hope and expect to see it produced in the Twin Cities in the not too distant future. Seeing Hamilton on Broadway in the fall of 2015 is and will always remain one of the most memorable theater experiences of my life. This was back before the Tonys, back before tickets were impossible to get, back before we listened to the cast recording obsessively and memorized every word (well, not every word, there are a lot of words), back before Hamilton was the standard by which we measured everything, back before there was a we knew there was a Hamilton quote appropriate to every situation. Going into the show that first time, I didn't know much about it, other than it was fantastic. But I wasn't expecting it to be so brilliant, so emotionally impactful, so relevant and revelatory. I was absolutely blown away. Seeing it again 14 months later, in Chicago, is different. The show is mostly the same, albeit with a new but just as talented cast, but the world is different than it was 14 months ago (one could say "the world's turned upside down"), I'm different than I was 14 months ago, my knowledge of the piece is different than it was 14 months ago. Seeing it a second time could never be as mind-blowing as the first time - I know what to expect now. But in a way it's a richer, deeper experience, precisely because I know what to expect. I was able to see and hear things in a way I couldn't that first time, because there's just so much to take in. So if you get a chance to see Hamilton a first, second, or twenty-fifth time - take it. The national tour begins soon and will come to Minneapolis sometime next season, and the New York and Chicago productions will likely not be going anywhere anytime soon. Last weekend was a pretty great and busy theater weekend. 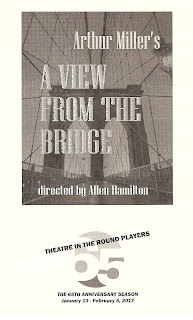 I saw five shows in three days, including two exciting new works as part of History Theatre's Raw Stages festival, and the opening of two great shows - Sandbox Theatre's Big Money at Park Square Theatre, and Theatre in the Round's A View From the Bridge. And the icing on the cake that was my weekend was a little show called The Last Five Years. If you're a fan of American theater classics, get yourself to Theatre in the Round (which happens to be the longest running theater in town) in the West Bank neighborhood of Minneapolis. 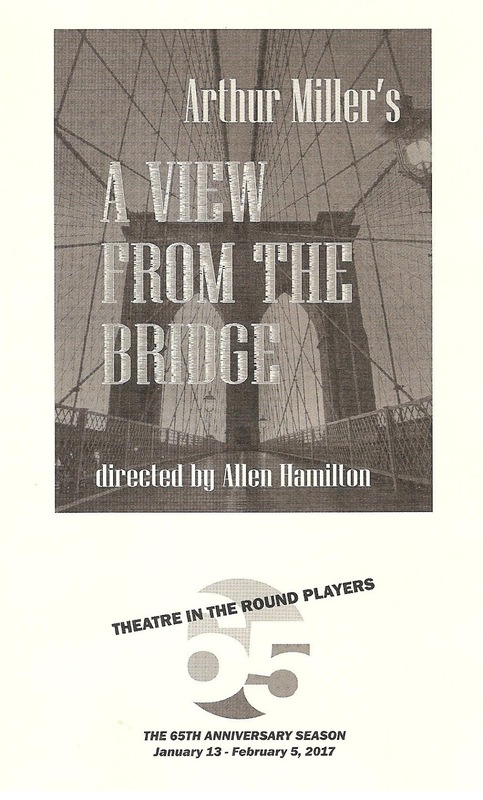 Their excellent production of Arthur Miller's A View From the Bridge features strong performances from the whole cast (particularly the leads), a really cool set with vintage props, and great staging in their intimate in-the-round setting. This completely engrossing and tragic story of flawed and very real characters navigating hard times and tricky family relations in 1950s working class Brooklyn will get under your skin. It's one of those experiences that makes you feel like you've been on a journey with these characters, one that's hard to shake when you leave the theater. 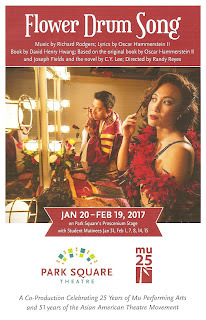 It's probably the second best play I've seen at TRP (the best being the gorgeous production of Tennessee Williams' Summer and Smoke in 2012). Don't let this one fly under your radar. 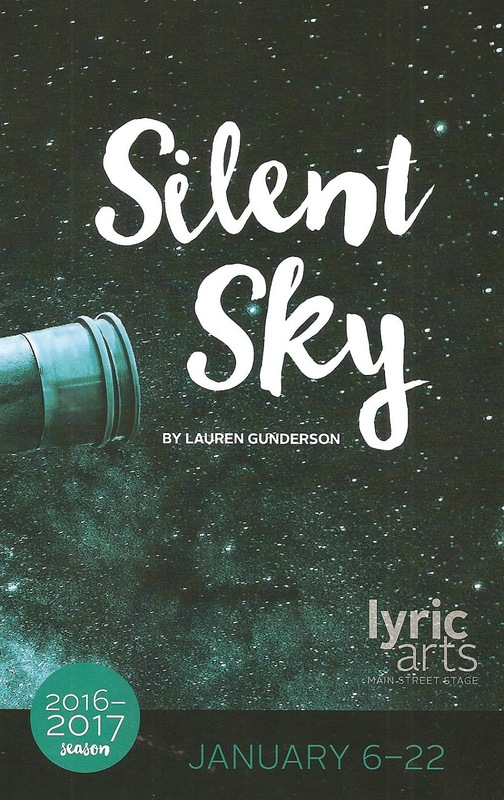 One of the wonderful things about the Twin Cities theater scene is that we get to experience new works of theater while still in the development process. The Playwrights' Center is dedicated to that, and you can often catch a free reading of a new and exciting play (like queens earlier this week). Many theaters in town have their own play development process, and an important step in that process is sharing the piece with the audience. And I can't think of a theater more committed to developing and producing new work than the History Theatre. 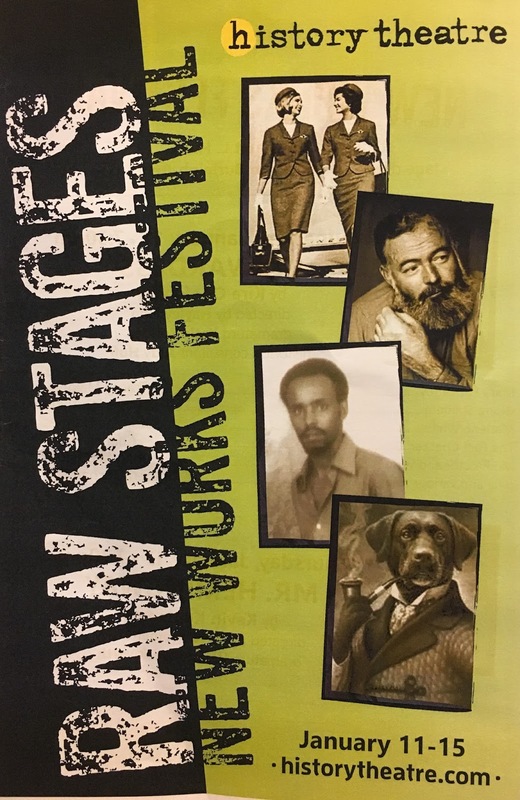 Most of the plays in their regular season are new works developed, and sometimes commissioned, by the theater, and many of them make their debut to audiences in the annual "Raw Stages" festival. 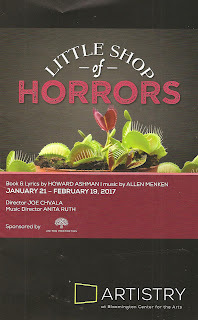 This season includes three such works - Teen Idol: The Bobby Vee Story, the upcoming The Highwaymen (which is NOT about the country music super group, but rather the building of I94 through the Rondo neighborhood), and this spring's new musical Sweet Land (although this piece had a long history of workshops before it landed at the History Theatre). Now is your chance to get in on the next big hit, see it in its early form, and share your feedback with the creators as they continue to develop the piece. 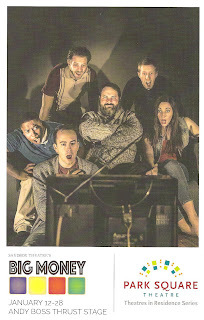 Keep reading for more about each show, and make your plans to head to downtown St. Paul to experience some exciting new works of theater. 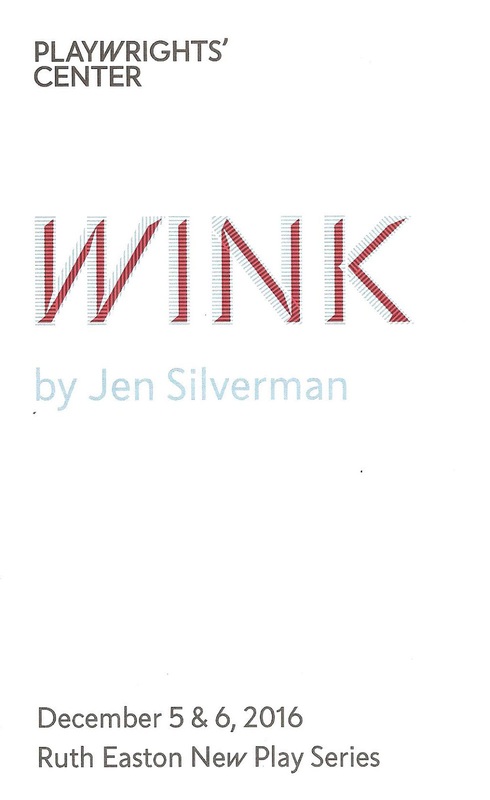 I attended my second "thrilling and intimate night of theater" as part of the 2016-2017 series last night (see also December's Wink by Jen Silverman). It was a clear, cold, snowy, moonlit night, perfect for gathering with fellow theater-lovers and theater-makers to experience a new work of theater. 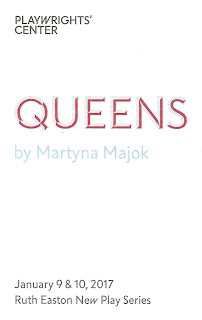 And what an exciting new work Martyna Majok's queens is. Although unfinished (the 3rd act has yet to be written and was described in a few sentences), it drew me right into the world of the play and made me care about these characters. 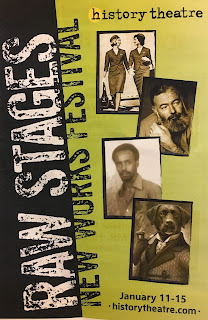 I look forward to seeing the full work onstage sometime in the coming years, but in the meantime, it was a thrill to be a part of the play development process at Playwrights' Center, something they do so well. This weekend, The Moving Company is bringing back their "absurdly funny, surprisingly musically delicious, awkwardly cringe-worthy, and just plain ridiculous (in the best possible way)" Liberty Falls 54321, an operatic comedy. I really loved it the first time around in December of 2015 (and yes, I just quoted myself), and fortunately they've brought back the entire dream team of a cast (I think I've got my first nominee for "best comedic performance by an ensemble" for next year's TCTB Awards). The show is mostly the same show, with a few more topical jokes added referencing the recent election. 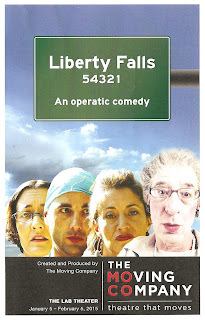 Whether or not you saw it last time, Liberty Falls 54321 provides a hearty laugh in bleak times, best said by a note in the playbill: "You've got to admit, there's a lot of ugliness out there right now. So, we ask ourselves - what would Moliere do? Well, he'd look at it right in its wrong, ugly face. And make some fun out of it. Have a good old laugh at it. Yes, sometimes you just have to laugh at it all." A good old laugh indeed. Have you ever heard of Henrietta Leavitt? Neither have I. But we should have. This early 20th Century female astronomer's discoveries gave us the ability to measure the universe. The much more famous (and male) astronomer Edwin Hubble built on her work and won the Nobel Prize for his work, which Henrietta could not because she died young before the full effects of her work were seen. None of us can control "who lives, who dies, who tells your story,*" but if the history books don't tell her story, we can be happy that theater is. Lyric Arts' production of Silent Sky (which, by the way, is written by a woman, directed by a woman, and features a mostly female cast) is a beautiful tribute to this brilliant, passionate, and dedicated woman who helped to quantify the idea that there is more out there in the universe than just this world we know. Happy New Year, friends! It's always fun to look back at the past year of blog posts and see which were viewed the most. Of the 258 posts on Cherry and Spoon in 2016 (not counting my recent 2016 favorites post), the below 15 were the most popular. As per usual, my Minnesota Fringe Festival must-see list was the most viewed post, followed by shows at theaters large and small. Thanks everyone for reading, sharing, and commenting on Cherry and Spoon this past year!